Grandpa Mugs BEACH Themed Mugs for a nice Gifts for Snowbirds. GRANDPA Mugs are Beach Themed Coffee Mugs. Customizable Mugs with ANY NAME. Go to the “TEXT”Box and Change Grandpa to ANY NAME. Grandpa will drink his morning coffee with a big smile thinking about tropical beaches. Original Design by Little Linda Pinda. Call 239-949-9090 or HELP or Special Order Requests. 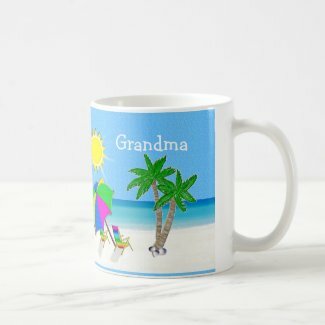 Be the first to review “Grandpa Mugs BEACH Themed Mugs” Click here to cancel reply.